The final Day 2 of the season has now been completed after 12 hours of play. 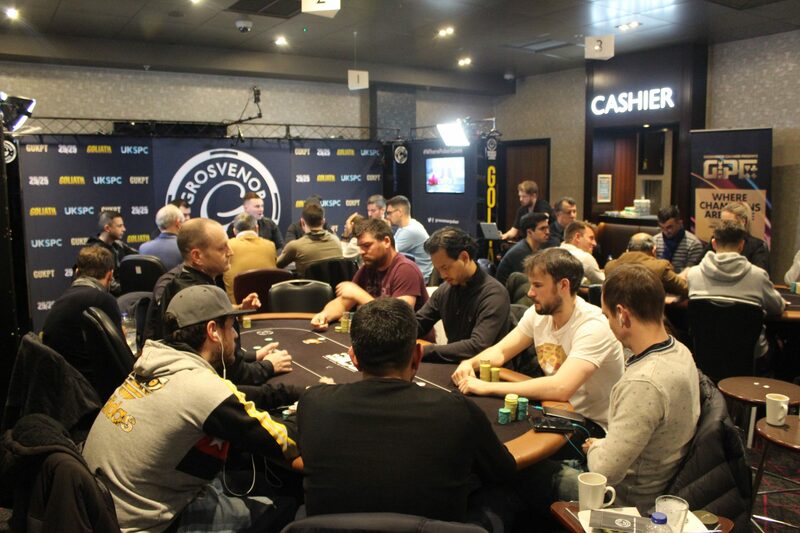 We started with 115 players at 1pm today and now there are just 20 remaining all guaranteed at least £5,800! The day has been a long but enjoyable day played in great spirits. As always on a Day 2 it started very fast and then slowed down as we approached the bubble. With the bubble lasting just over two hours it was one of the longest of the season. Day three begins at noon tomorrow and we will play down to a winner! It’ll be great to watch and one lucky player will be taking home £180,000 after they are crowned GUKPT Grand Final 2018 Champion! 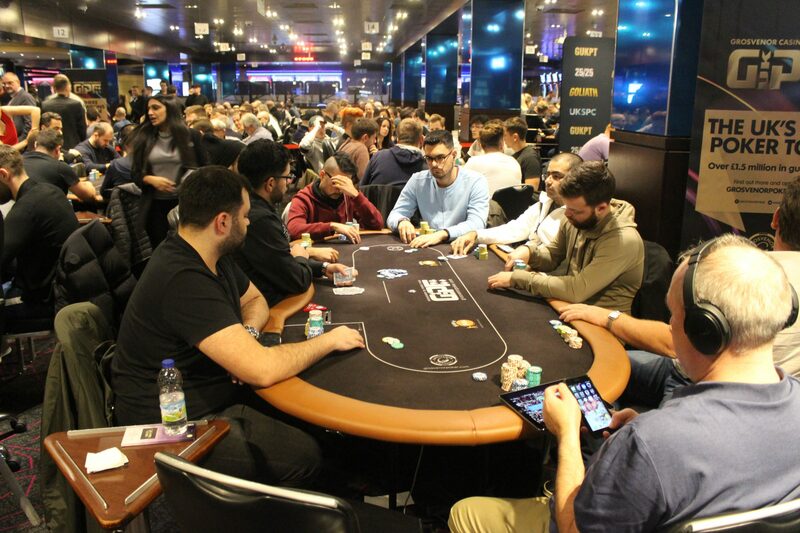 Play has now finished on all tables. 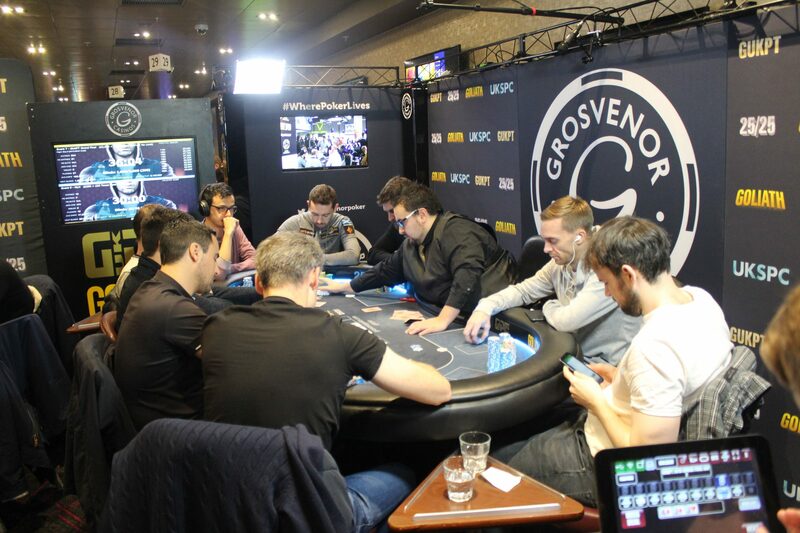 The 20 remaining players are bagging up their chips and the full chip counts will be up as soon as possible. The clock has been paused with 12 minutes remaining. 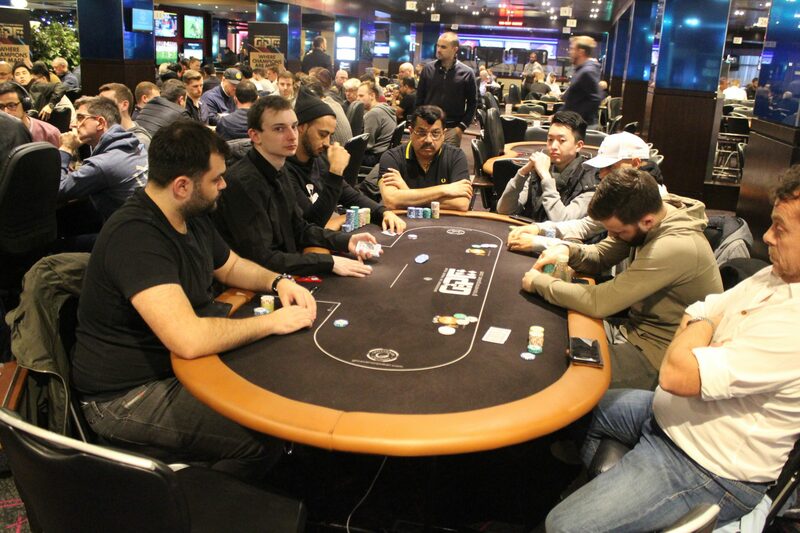 The players will now play 5 more hands before bagging for the night. 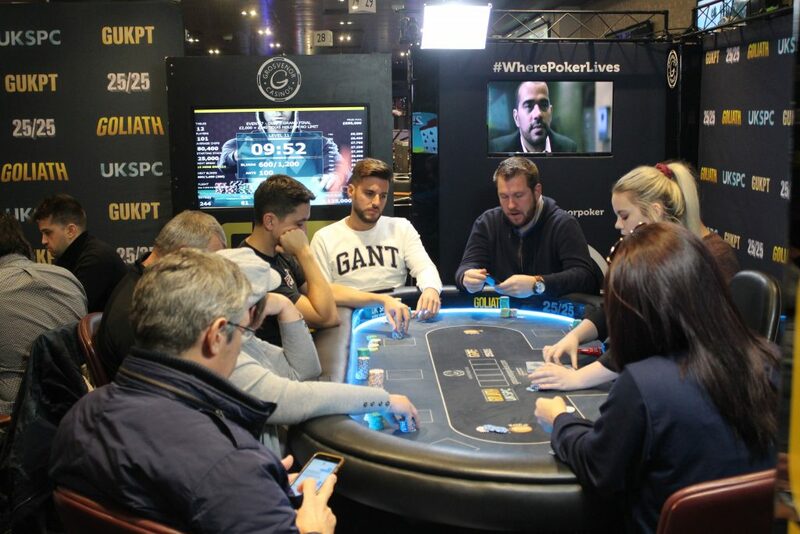 The players are back to play the last level of play. 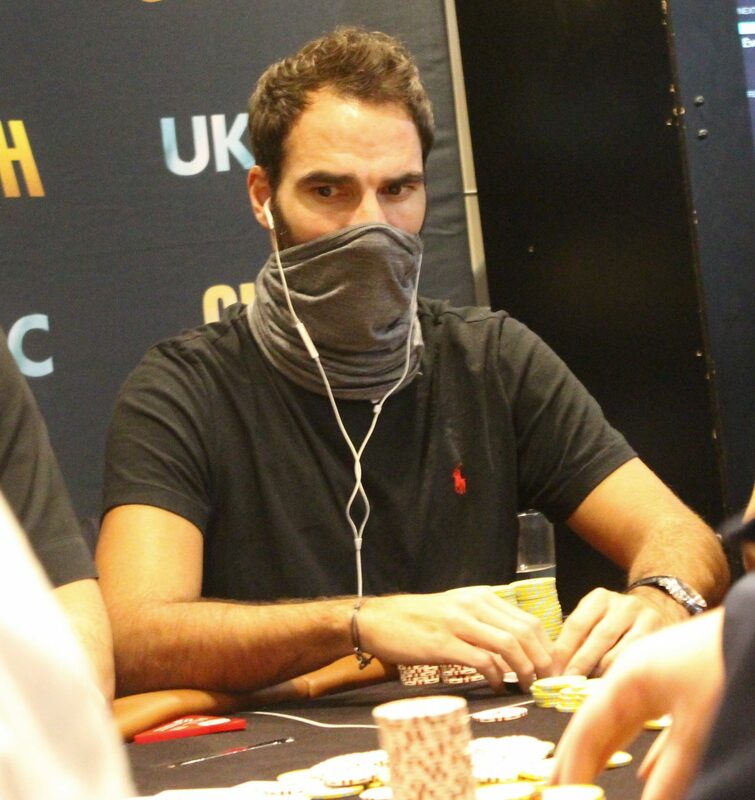 Blinds are 5,000/10,000 with a 1,000 ante. Break time for the players as they take 15 minutes. After two hours of a very tight bubble we have finally lost a player! That player being Dave Clarkson! Dave all in for his 4 big blinds holding A-9 against the Q-J of Julien Sitbon. Queen on the board and we lose Dave from the field! Unfortunately he leaves empty handed, everyone else is now in the money. We are now on the bubble!! With £4,600 for the min cash, this could be a long one. Another three exits from the field as we lose Dave Maudlin, James Williams & Josh Boulton. We’re now just four players off the money. 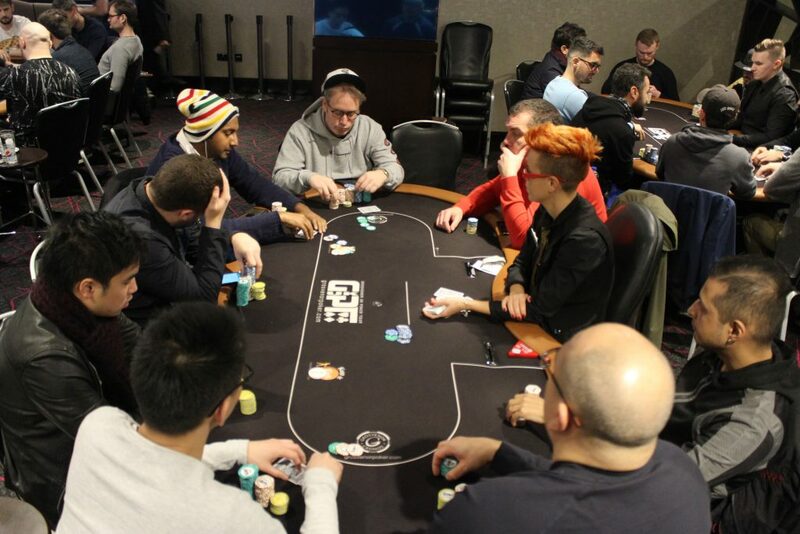 The blinds increase as we begin level number 18. 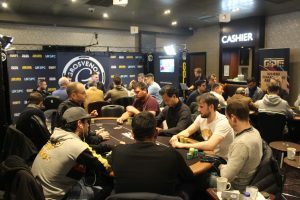 They are now 3,000/6,000 with a 500 ante. 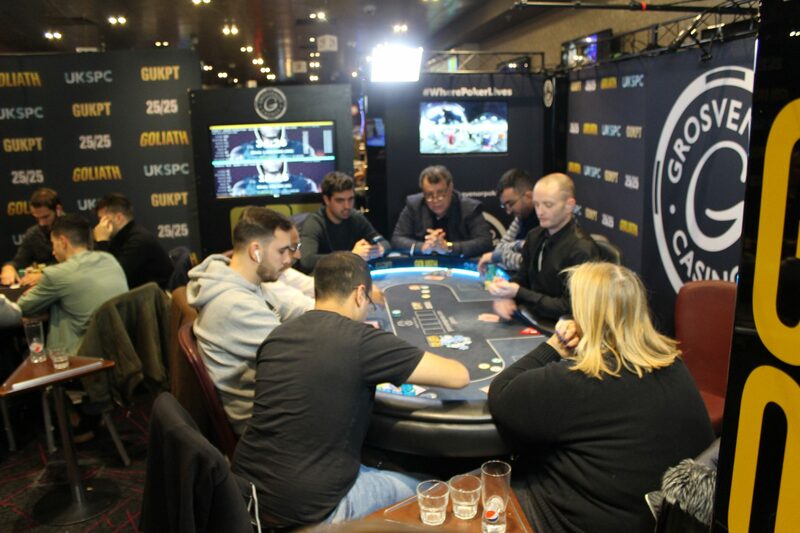 The players are back seated as we begin level 17. The blinds are now 2,500/5,000 with a 500 ante. 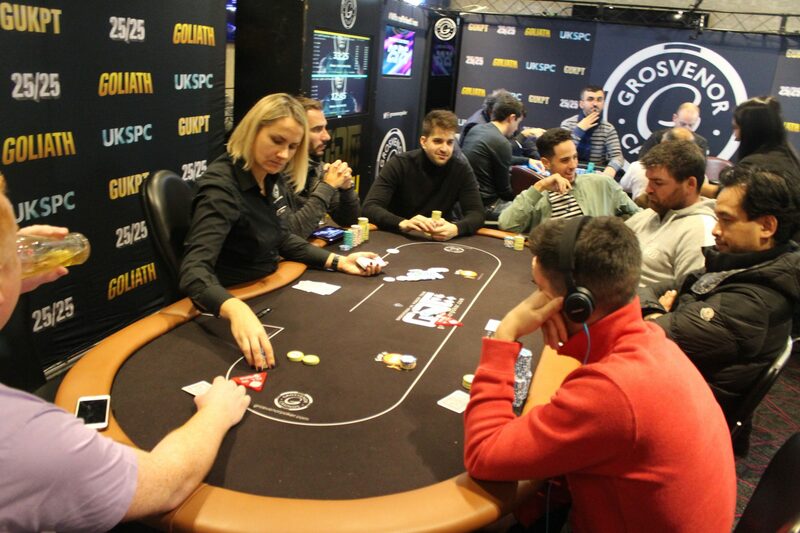 We get to the table on a flop reading The action is checked to Ludo who bets 16,700 into around 25,000, Keith Talkington calls, Tom Macdonald also calls… Eoghan O’Dea then moves all in for around 130,000. Ludo & Keith get out of the way and Tom makes the quick call tabling for the flopped straight! Eoghan shows and will need runner runner to survive.. 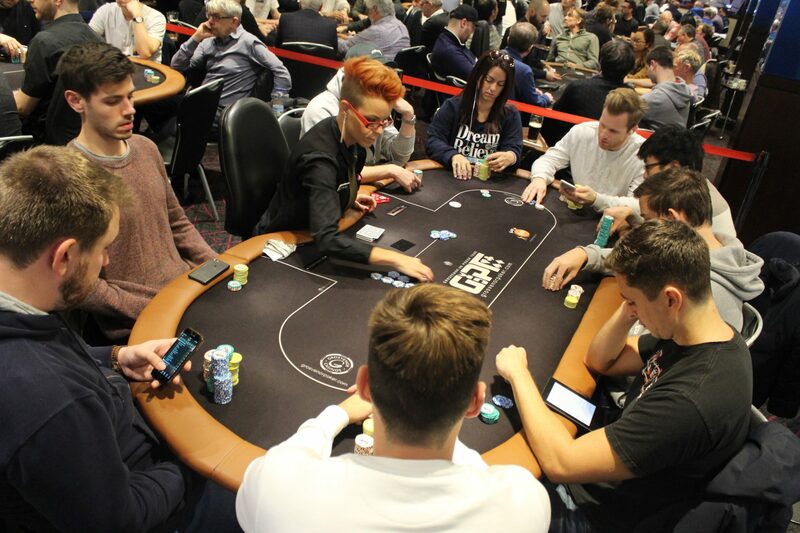 The straight is good for Tom MacDonald to take the pot, he now has around 430,000. The blinds increase as we begin level number 16. 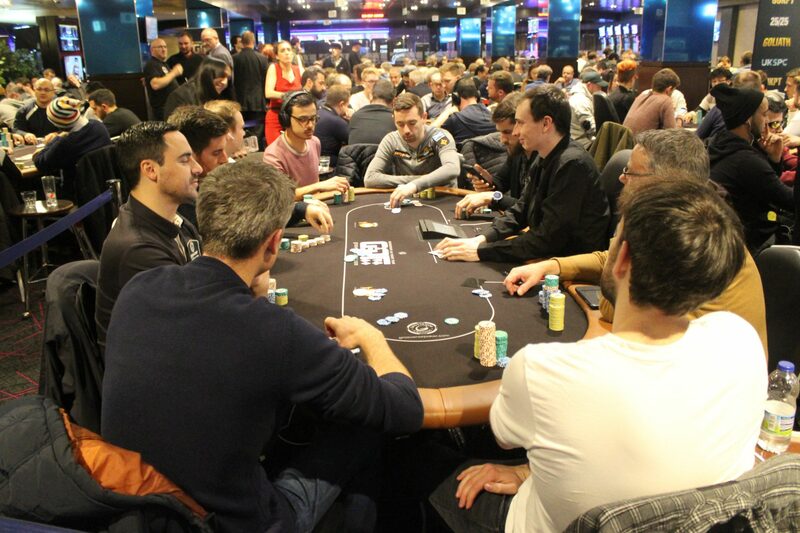 They are now 2,000/4,000 with a 400 ante. The players are back seated as we begin level 15. The blinds are now 1500/3000 with a 300 ante. 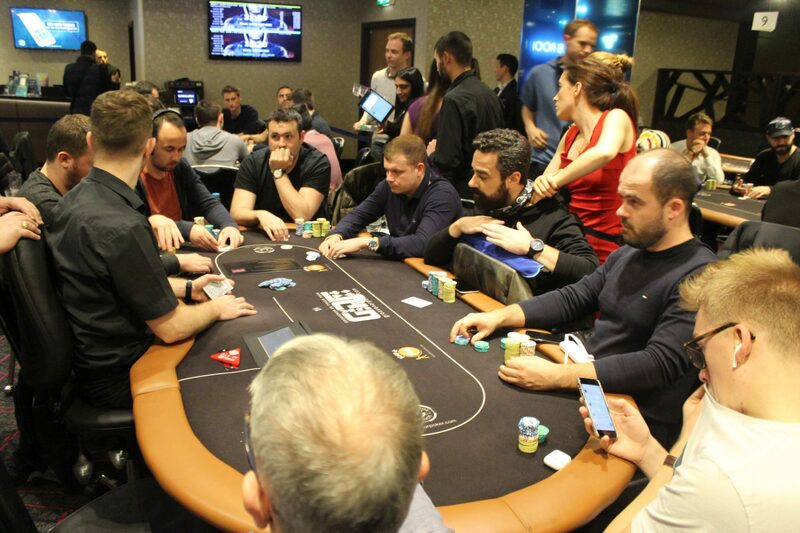 Break time now for the players as they take a 45 minute dinner break. The blinds increase as we begin level number 14. The blinds are now 1200/2400 with a 300 ante. 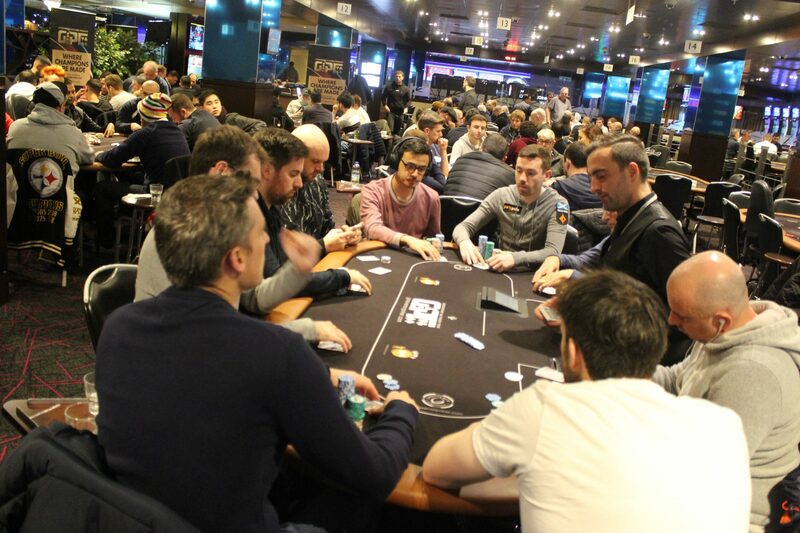 The players are back seated as we begin level 13 of the tournaent. The blinds are now 1,000/2,000 with a 200 ante. 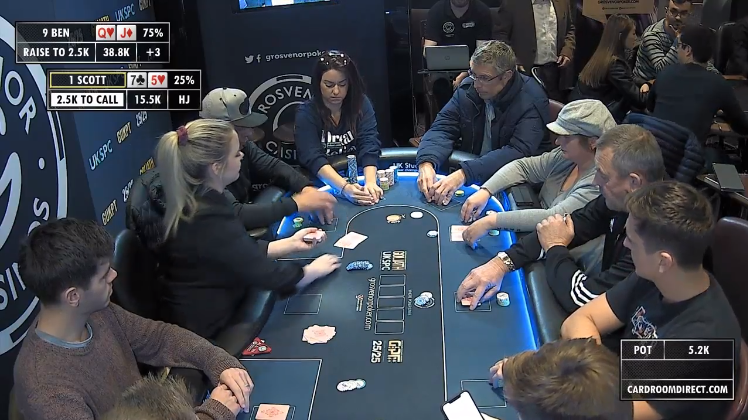 Tarjei opens from early position, Robert Buky moves all in for his 35,000 stack, Tom MacDonald is on the button and moves all in for 56,000. Tarjei snap calls and the cards go on their backs in a three way all in!! The turn card comes !!! Tom turns a two outer to take a commanding lead in the hand. Tom takes the huge pot and now has just short of 150,000. Robert is eliminated and Tarjei is crushed down to 35,000. The blinds increase as we begin level number two of the day. They are now 800/1600 with a 200 ante. 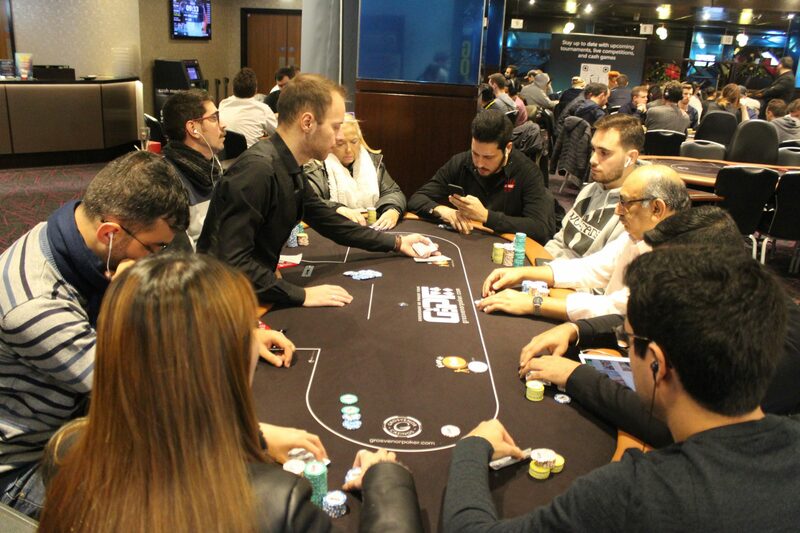 We are now LIVE from Day 2 of the GUKPT Grand Final at The Poker Room. The cards are in the way as we begin Day 2. Blinds are starting at 600/1200 with a 100 ante. 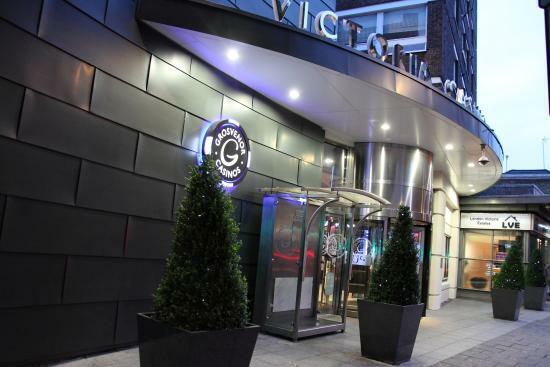 Good afternoon and welcome back to The Poker Room in London for the second day one of the GUKPT Grand Final. 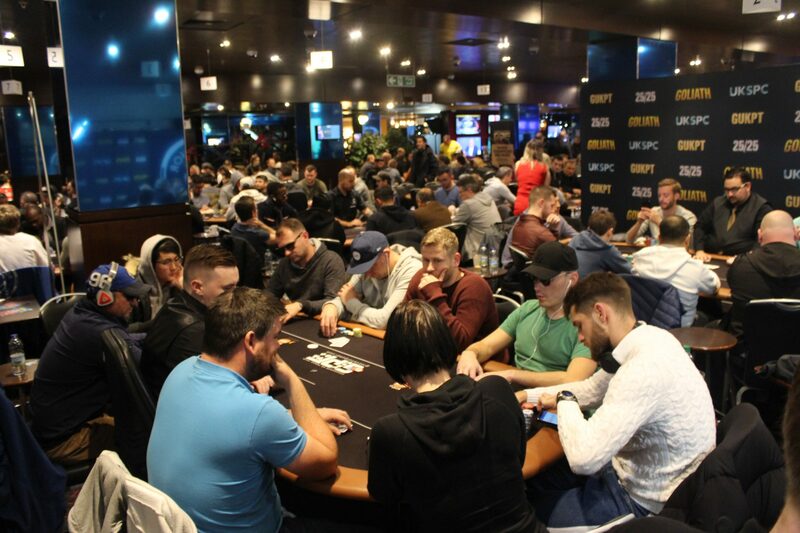 From the 325 entries there are 115 players coming back to play another ten levels today. 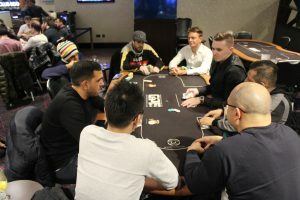 The two day one players have combined over 13 tables and the seating plan can be found in the post below. Play will begin at 1pm.